Get empowered. Get noticed. Get them involved! 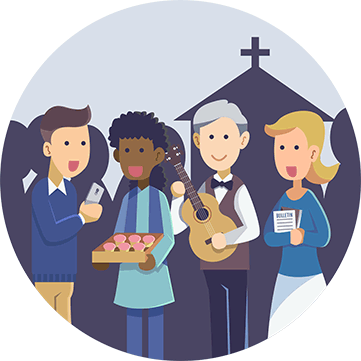 Share your church’s latest news with your congregation and neighbors alike. Turn simple forms into beautiful newsletters, bulletins and websites. Everyone can upload their part directly without having to go through you first. Stop fussing with endless tools and focus on what matters. Use one account for all your church's communications needs. It is our mission to empower every church regardless of their size. Use the latest technology to connect with your congregation. 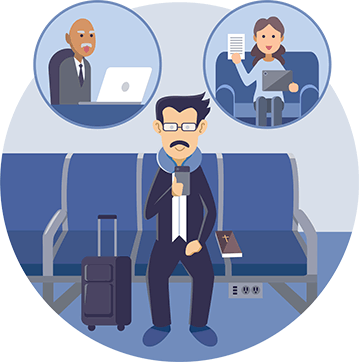 Staff, ministry leaders and guest speakers alike can input their news from anywhere and any device. Connect7 will automatically generate beautiful bulletins, newsletters and web pages every week. Increase church participation and engagement by keeping your congregation up to date. How will Connect7 help my team and I? Connect7 streamlines your weekly communications by providing a one-stop venue to reach your entire church community in a few clicks. Easy and powerful! How will my church congregation benefit from Connect7? 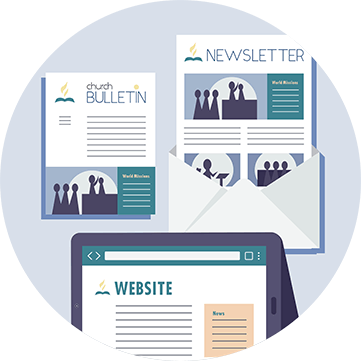 Newsletters push the latest news to your congregation so they can plan ahead and participate. An up-to-date website creates awareness of your church and its activities, and provides opportunities for your local community to join in. Beautiful bulletins are the greeting cards of your church. We're happy to hear from you. Fill out the form and we’ll be in touch soon. We received your information and we'll be in touch soon.